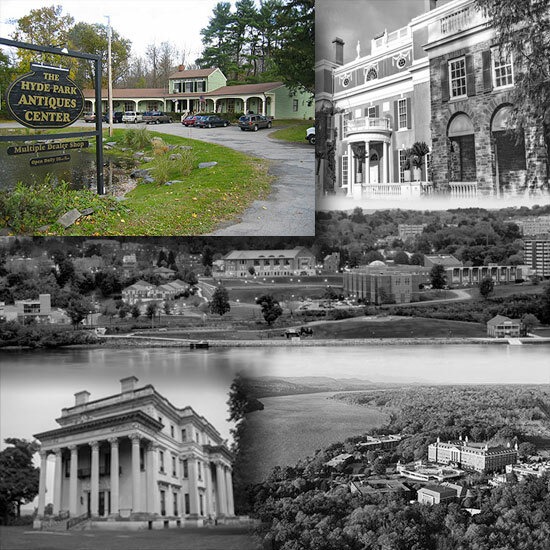 The Mid-Hudson Valley beckons many visitors and all its residents to the treasures of its nature and history. Sitting on the Hudson River’s east bank about mid-way from NYC and Albany is the township of Hyde Park. This area harbors a collection of fascinating destinations – each with captivating sights to connect the traveler with a piece of the brilliance of the regions past. One will see the distinctive sites of higher education like Marist College and the Culinary Institute of America. And, along this route for decades has stood the rambling site of the HYDE PARK ANTIQUES CENTER. The core of the building was once a stage stop on the old Albany Post Rd; and later, the Secret Service headquarters for our 32nd President. Now the HYDE PARK ANTIQUES CENTER is a 9,000 sq. ft. showcase of the collectibles, antiques, and valuables that over 25 Vendors and consignors have brought back to the market. Our customers will delight in the museum-like experience of wandering through, viewing and claiming their own personal piece of history. Copyright @ 2019 Hydeparkantiques.net .